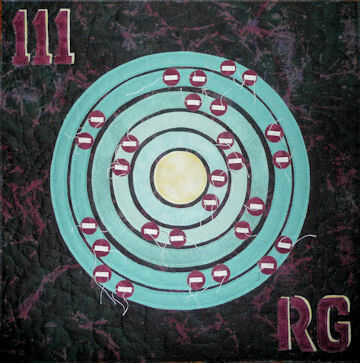 RG 111 is a synthetic radioactive chemical element discovered in 1994. It was named in honor of German physicist Wilhelm Conrad Roentgen I choose to represent RG with the atomic structure. The back is discharged printed and over dyed. This entry was posted in View All Elements and tagged Tricia.